It's cold in these parts this week. Kids have missed school for two days (don't EVEN get me started), but they went back yesterday. Lots of thoughts about "cold days" floating around. Have you ever heard of such a thing? It is, after all, winter in the Midwest. Isn't is supposed to be cold? Whenever winter sets in I like to bake (oh, let's face it, I always like to bake), so on Thursday I baked up a batch of Honey Whole Wheat Bread because I'm having special guests here this weekend--a dear friend from college, her daughter, and her granddaughter (!). (A BABY in my house!) We devoured one loaf at dinner earlier this week, but hopefully we had a couple of loaves to share with our friends. Since I redecorated my guest room this fall (OH MY WORD I JUST REALIZED THAT I NEVER SHOWED YOU MY GUEST ROOM RE-DO!!! Stay tuned . . .) we've had lots of guests, which I absolutely love. As a hospitality person, I'm happiest when my house is full. And when my house is full, I like to have snacks on hand that are somewhat healthy and always delicious. That's what I bring you today. 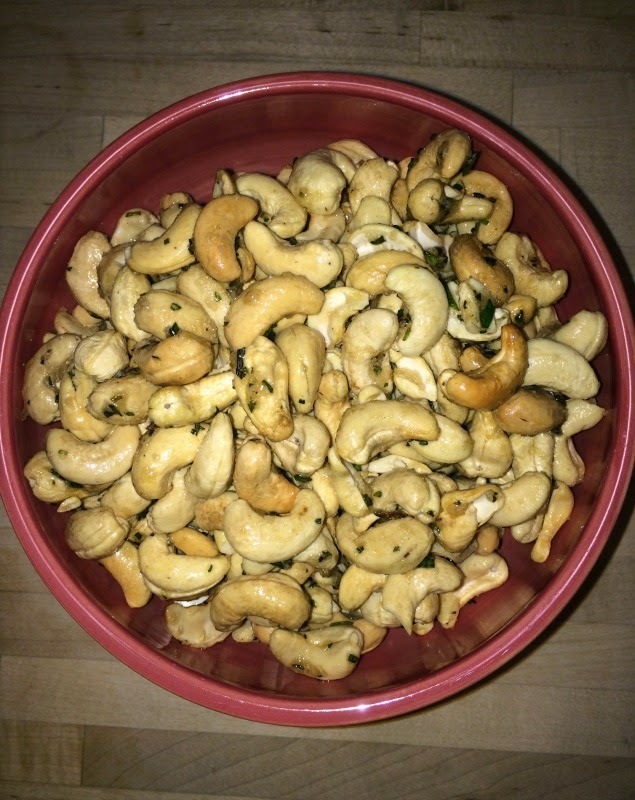 I first saw Ina make these Rosemary Roasted Cashews on her show and knew immediately that I HAD to make them. I have made them several times since, and have, of course, tweaked the recipe to my own taste (primarily, I leave out the cayenne pepper and amped up the brown sugar and salt). Let me tell you, everyone who has tried these has loved them. 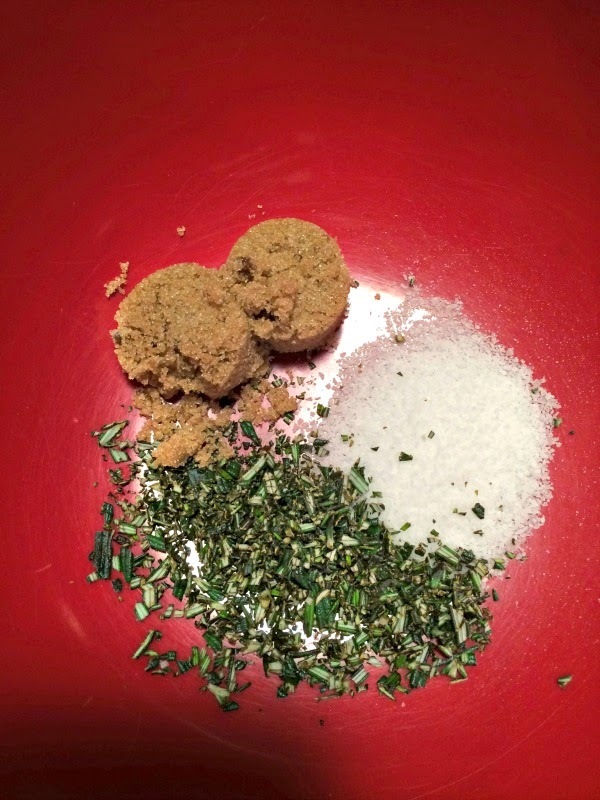 You need to gather only five ingredients: cashews, rosemary, butter, brown sugar, and salt. First, roast the cashews. Simply place them on a dry baking sheet and roast for about 10 minutes. Be sure to watch them so the cashews don't burn--you only want a golden brown, not a deep brown. Burned nuts are bitter, and we don't want that. 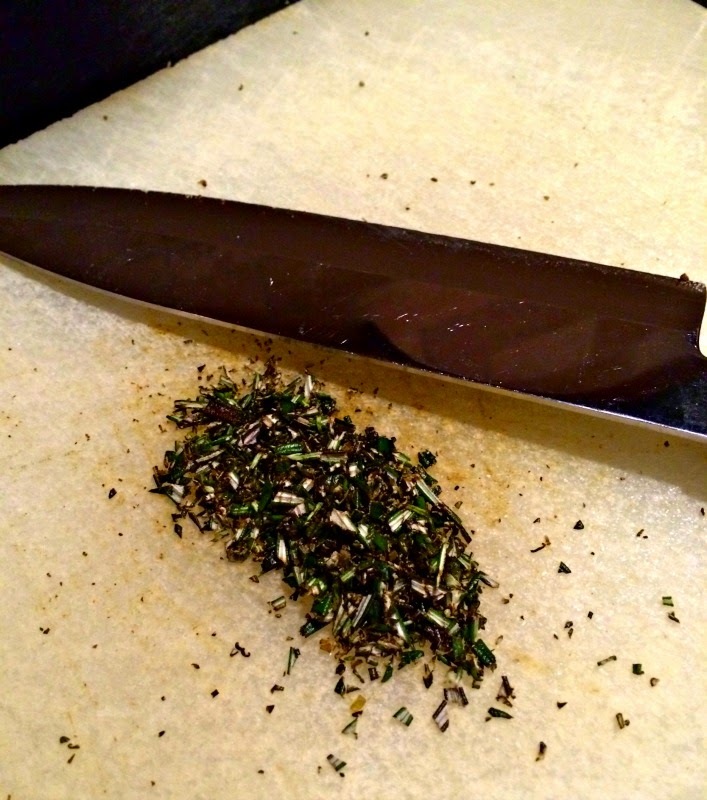 Next, chop the rosemary very fine (nobody wants to get a huge chunk of rosemary in their mouth). 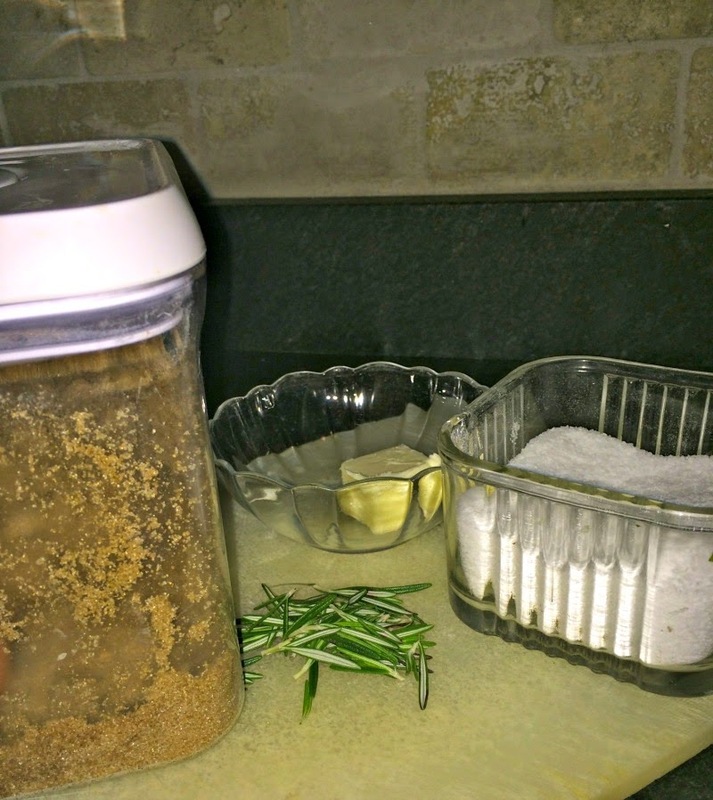 Combine the rosemary, brown sugar, and salt in a bowl. Add the melted butter and stir well to combine. When the cashews are done, add them to the butter/sugar/rosemary mixture and stir very well. If you have some lumps of brown sugar, keep stirring to break those up. I have also put the cashews back into the oven for about 2-3 minutes just to melt the sugar and combine everything. 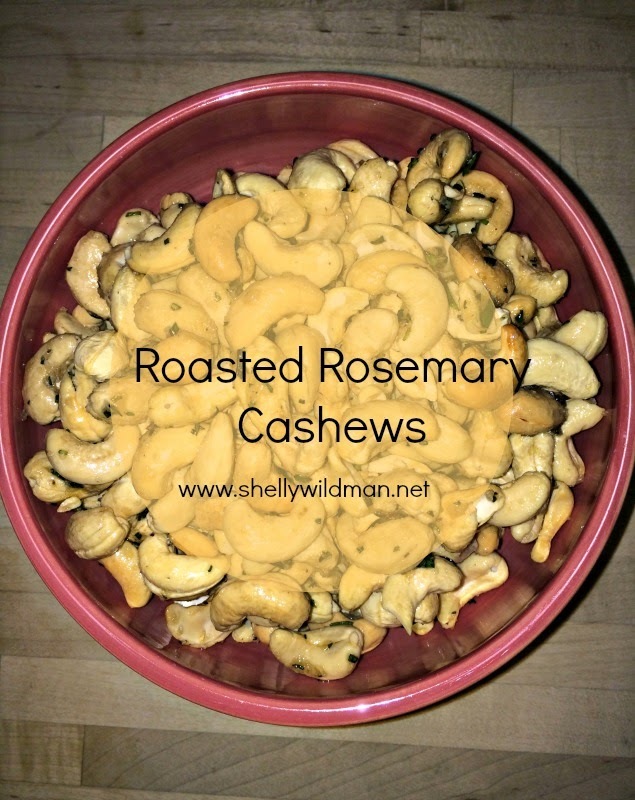 Simply place the cashews in a bowl and enjoy! 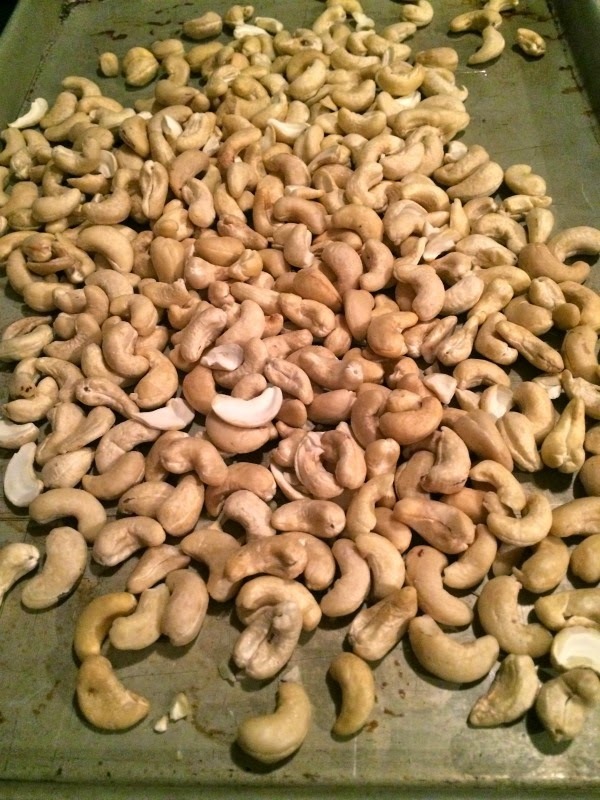 And now, I'm going to prepare my cashews for this weekend. Hope you have a great one!